This idea appears in many articles or ecommerce guides that I have read in my life. They say, just create a great business logo and people start buying from you. Some years ago a friend of mine had an online business. I don’t know why but he was obsessive about his website’s design. He changed it millions of times and was never satisfied with anything. He told me “Oh my god, it doesn’t look professional enough, so nobody will take me seriously! I have to make this button smaller, that button bigger and change the color of the text. And a logo. I definitely need a logo”. So he spent about 30 days (and nights) in front of his laptop trying to make the best logo in the world. I can’t understand why, but at that time he firmly believed that logos are the key to success. He thought about the companies like Nike or Apple and dreamed how people would buy his products just because of his business logo. And you know, it was one of his biggest mistakes. He made a really great logo but it didn’t bring him any results. He still had no visitors and people weren’t eager to buy from him. Nobody said, “Wow, this logo is the best, what I’ve seen in my life! Take my money, please”. People were cold towards him until he started promoting his business and providing a great service. Just think, he spent a month on absolutely unnecessary things! 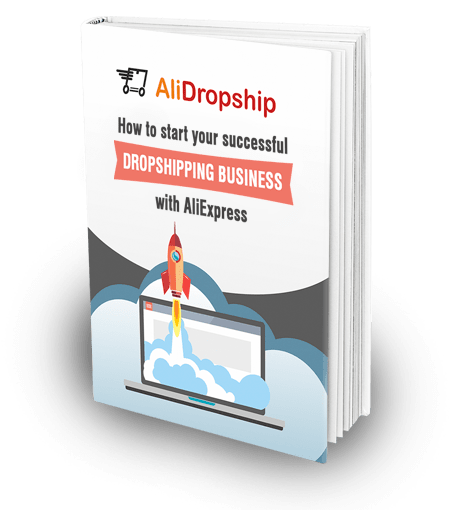 I told you this story only because I don’t want you make the same mistake, when starting a dropshipping business. Your logo is NOT the most important part when you’re just starting out. You don’t need to concentrate on it because in the early stages of your business development it is not worth it. Don’t get me wrong, I don’t appeal to you to reject logos at all. You have to make a business logo, but please don’t be like my friend and create it quickly. The best solution here is to use online logo makers. Here are the most powerful of them. Canva is a great tool that will help you develop your own business logo, even if you have no previous design experience. The tool has a drag and drop interface and tons of templates to choose from. After creating a logo, you can share it with someone and let this person edit your logo. Although many features are free to use, most images are premium and will cost you about $1 per image. 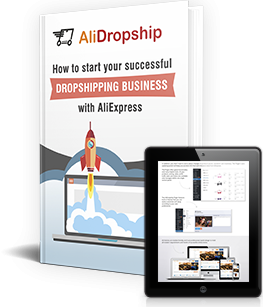 This free logo maker has a range of styles and allows you to design a logo that best suits your dropshipping store. To start designing your logo, you will need to write the name of your store and choose the industry you are related to. After that you will need to select templates, colors and symbols you like. The service considers all your preferences and automatically generates a logo. To view it and save your progress, you’ll need to enter your contact information or log in with your Twitter, Facebook or Google+ account. Ucraft is a free business logo generator that helps you create a logo in less than 10 minutes. A wide range of icons, shapes and fonts will allow you to design the best logo ever. As in the previous example, in order to download your logo, you will need to create an account. Tailor Brands works like Logojoy. It will ask you some questions about your brand and style preferences and then automatically generate business logos for you. The tool is easy to use and doesn’t require any specific knowledge. It’s free to design your logo and you pay for your design only if you’re completely happy with it. Another great tool that you can use to design your logo is Creative Market. This website offers you an extensive collection of high quality logo templates that you will need to modify with Photoshop. If you can use this program, Creative Market will be the best way to create a unique and memorable business logo. May I use business logos of other companies? Many ecommerce newcomers think that they can find a perfect logo, make something like this and wait for success. In fact, it will be a fail. A logo can be perfect for one company and absolutely useless for another. In fact, it will be just a copy that doesn’t represent the essence of your business. What’s more, people can call you a plagiarist, what will be a massive hit to your reputation. Very useful article, which can save a lot of time Thank You. Thanks, Alexandra, for the good article. I would just note that Logojoy is not free; they ask $20 for a low-resolution design and $65 for a high-resolution one (website, printing…)!!! !